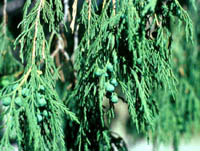 Weeping Juniper is named for its pendent, "weeping" branchlets and needles. 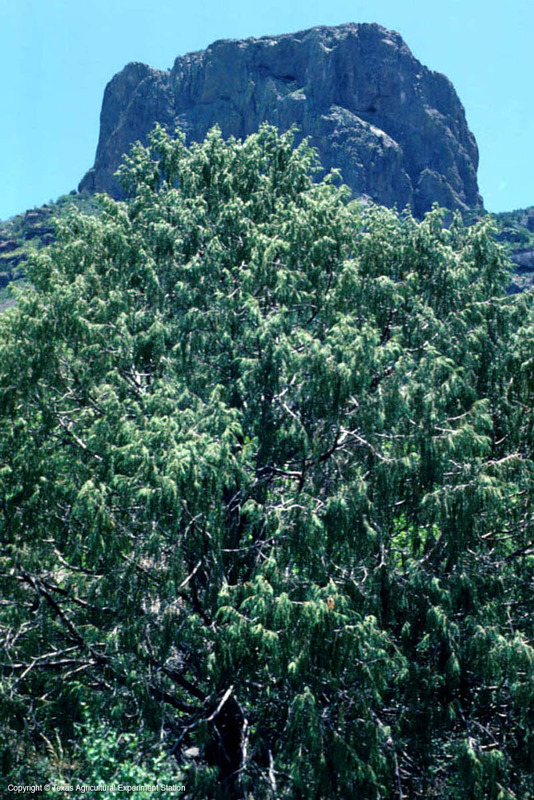 It grows natively in Texas only in Big Bend National Park's Chisos Mountains, at high elevations on igneous soils. 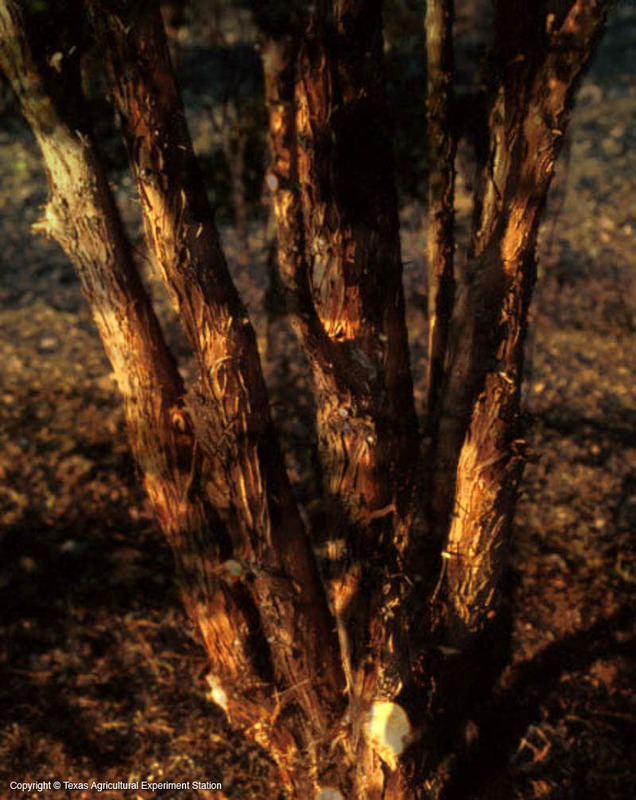 It usally grows to 25 to 30 ft., although it can be up to 55 ft. 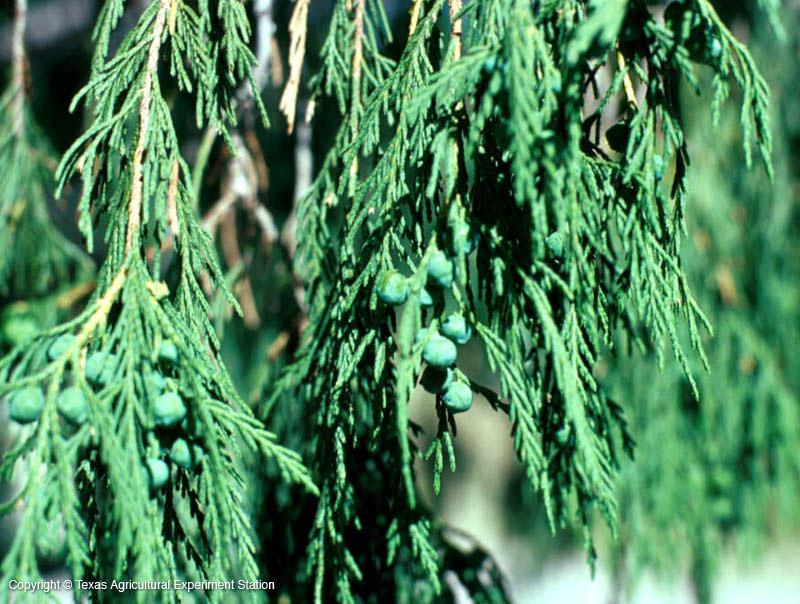 It grows slowly, is long-lived and very drought resistant, traits common to most junipers.